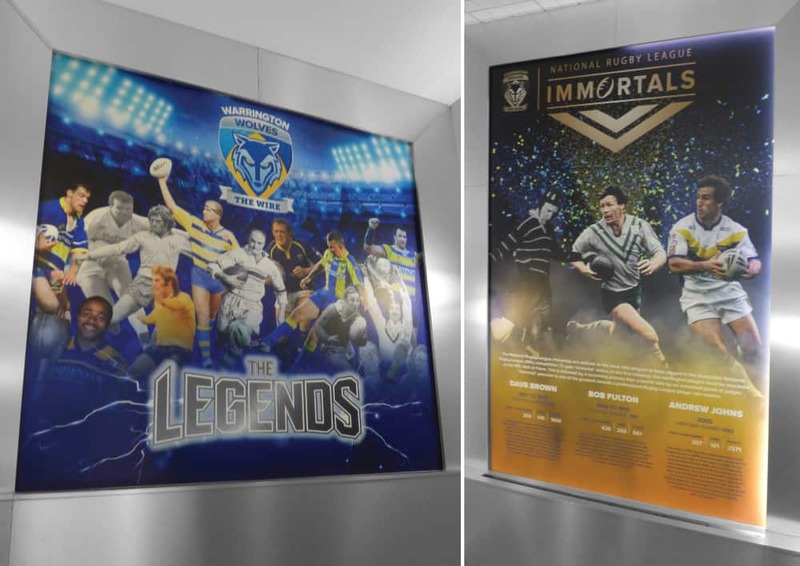 Signs Northwest / Uncategorised / Warrington Wolves Legends & Immortals Wall Graphics! Warrington Wolves wall graphics first and second floor landing, designed printed and installed by Signs Northwest! Full colour digitally printed hard wearing matt laminated wall vinyl.